We’ve been heavily iterating the onboarding process here at Chicisimo, the outfit planning and virtual closet app. 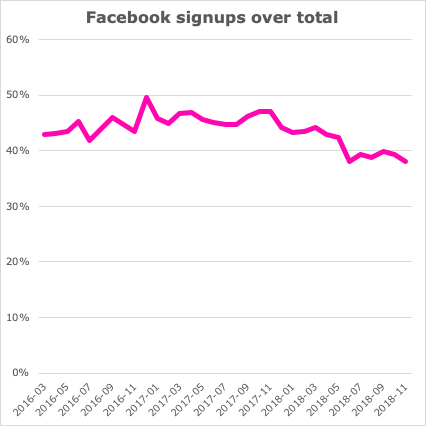 One of the changes we’ve noticed is how Facebook drops: signups through Facebook have been declining since December 2017 in our iOS app. 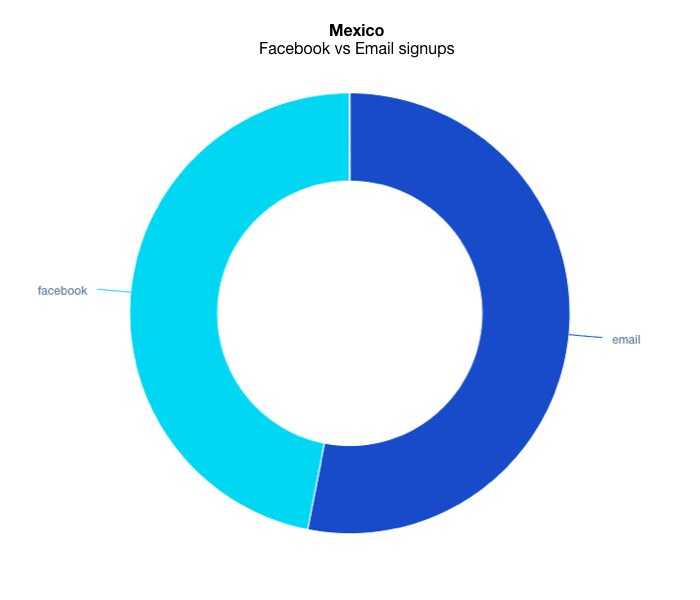 During the last semester of 2017, 46% of people who signed up for Chicisimo chose Facebook as the signup tool, while 54% chose email. 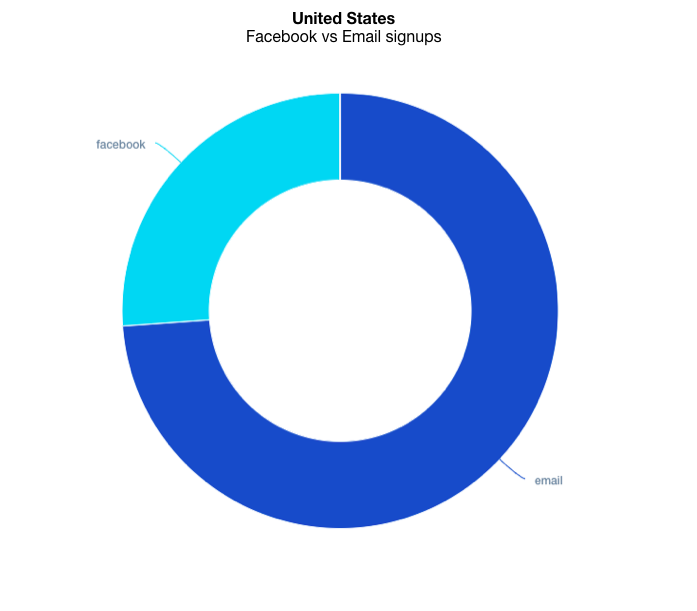 However, during last semester of 2018, only 39% of our users chose Facebook. The Chicisimo app is used by women who need an outfit planner and a virtual closet app to decide what to wear. Women can super easily tell the app what clothes they have in their closet. The, the app picks outfits for them, both by showing how other people wear their clothes, and by putting clothes into outfits or ensembles. The data above only reflects signups in our outfit planning iOS app, not in the Android app which is a totally different experience. Chicisimo is looking for a remote Growth Designer. Full time. See all details here. Chicisimo is an app that helps women decide what to wear, with an outfit planner and a virtual closet. Chicisimo has built the machine learning infrastructure to automate advice, on top of which the apps have been built. 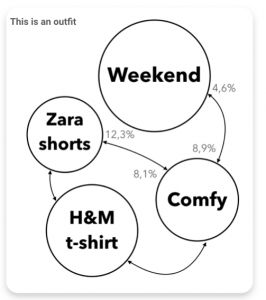 How taste graphs will transform fashion.